I have long disliked winter, but without winter, I guess I wouldn’t have perspective to properly enjoy the best of all seasons, spring. It’s hard to beat that special color of purpley-red that hints on the trees before any other colors show. And the fresh green of newly forming buds and leaves is like none other. And probably my favorite of all natural spring things is the look and especially the smell of new daffodils. I wish I could find a way to bottle the clean smell that is daffodil. 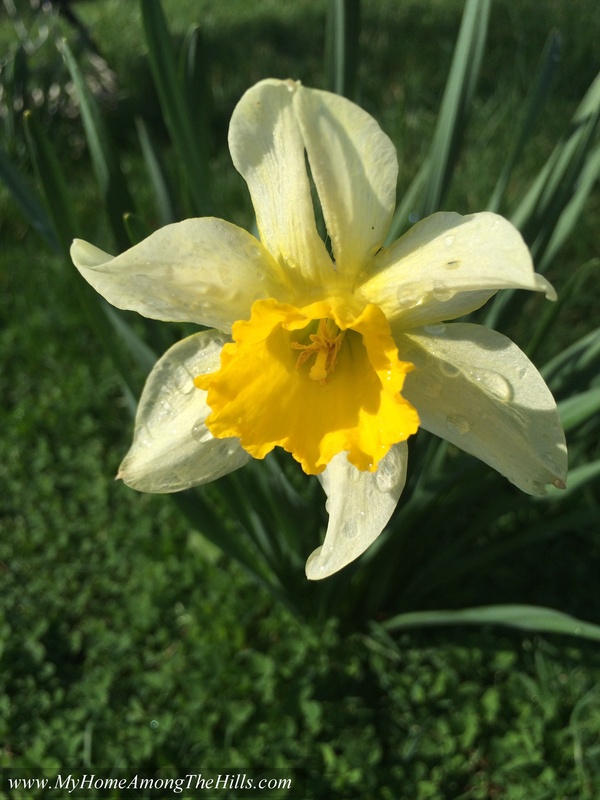 If someone made daffodil perfume, I would wear it myself! Anyhow, I also love to hear the spring peepers, tiny frogs that call all night in the spring looking for love I suppose. Winter gets awful lonely after all! I happened to be out in early March and was able to hear the first peep-frogs of the season. That sound is almost as special as the smell of daffodils. Both generate sort of emotional responses in me. But still, I really like both. Among unnatural things, I also find a few favorites in spring! 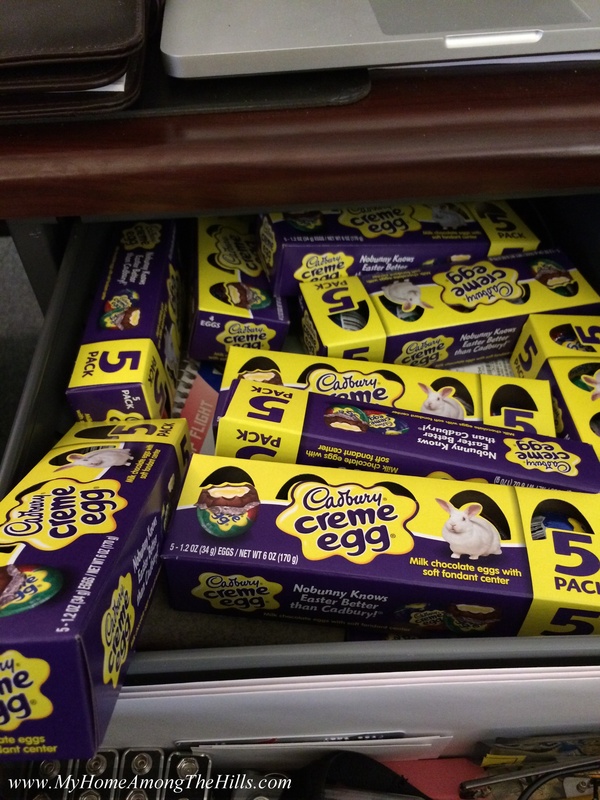 From December 26th until Easter, there is a chance that one will find Cadbury cream eggs. I love Cadbury eggs…almost as much as bacon and Hank Williams, Sr. The problem, of course, is that they don’t really last long enough. Their growing season, so to speak, is only 3 months at best. A depraved Cadbury egg lover like me has to resort to ridiculous measures in order to survive from Easter until December 26…I stock up like a mad man! The other day, I took a picture of my stash at the office…I have a similar stash at home as well. While this probably won’t last until next season, it will set me well on my way! 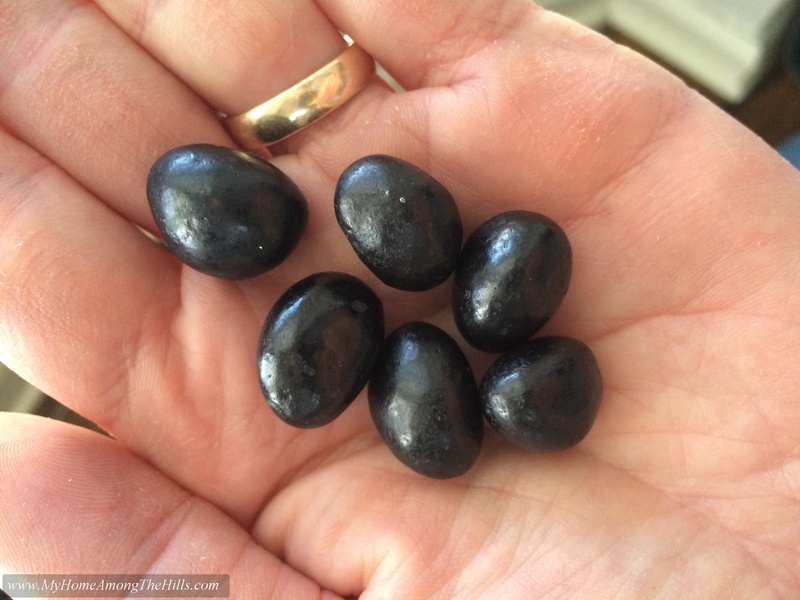 And finally, and I know there are haters…I present my other spring-time favorite, black licorice jelly beans. I know we are a rare breed, but I love black jelly beans. I got some mediocre ones at the store this year, but truly good ones are hard to find but so worth the hunt! With all of these wonderful spring things, I don’t even mind my allergies when they flare up a little…and I don’t mind watching my son mow the yard. Spring is so worth it!